While some people compare the fight against alternative taxi services to the movement for destroying machines in the 19th century, others see an attempt to skip the rules in this business model. The members of the Board for Business sent a clear signal on Wednesday that they don’t want to open the door to this business. The members of the board refused the suggestion from CSSD deputy Vaclav Zemek, which was meant to make the business easier for the alternative transporters. Two separate groups are standing opposite to each other in this argument – the operators of classic cabs and applications which use the licensed cab drivers, like for example Liftago, on one side, while on the other side are companies like Uber or Taxify, that offer lifts by a car which is not driven by a licensed cab driver. The price advantage is logically on the side without the licence, because these services are offered as sharing, not a cab. 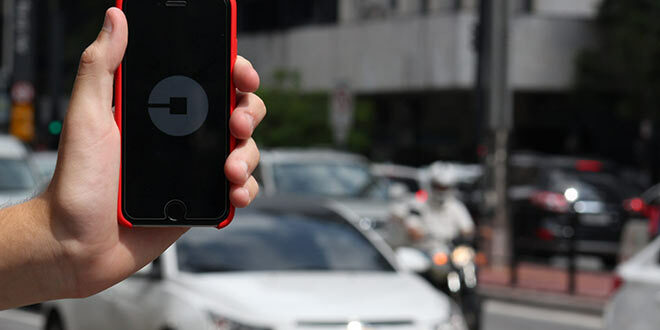 Zemek’s amendatory suggestion to the discussed amendment of the transportation law contained a paragraph according to which the cab driver would not have to have a taximeter, but only a smartphone application, which would replace it. “I am aware that my suggestion is a bit radical, but the technology was faster than the legislation. We can close our eyes when facing it, or we can be proactive,” the deputy has said. The members of the board didn’t agree with his suggestion in the end. According to the Minister for Transportation, it would be the end of cab services in their current form. Uber had problems in many other countries as well, and it was banned in many big cities as well. This week the company ordered whole-page advertisements in three dailies. In the text, signed for example by Tomas Prouza, the former coordinator of digital agenda, the company called upon the deputies to support the development of new services. “The excessive and inappropriate regulation of any industry, including the transportation sector, is a step back in the age of digital revolution,” they stated in the letter. Some deputies consider such a letter to be unacceptable pressure on the media. The lawmakers and the Ministry of Transportation are refusing such steps, but they are not against another discussion. They also pointed out that in Czech there are already applications which respect the law. “We don’t need to breach a single law, we have all the modern technologies,” says Martin Hausenblas, the founder of Liftago. The suggestion comes with stricter rules for the taxi business. For example, drivers could lose their licence even after the first serious transgression, let’s say forgetting to turn on the taximeter. The providers of taxi services will now have to keep a log of the drivers and they should check if their drivers are licensed. While the deputy Zemek wanted to loosen the requests on the providers, other people went in the opposite direction and they suggested the regulations should be even stricter. For example, Pavel Cihak (ANO), who wanted to force through fines of up to 700,000 CZK for breaching the rules. He didn’t gain enough votes on Wednesday, though. “It is necessary to apply the same rules to everybody. That is not happening now,” he added. The deputies point out, for example, the problem with Uber cars that are not insured.